An appropriate Exchange EDB Recovery software to repair Corrupted/Dismounted EDB files. After that, the tool saves recovered mailboxes to Live Exchange and multiple file formats. An EDB file of any size can be retrieved by using this tool. Scans & Recovers Corrupted EDB files to Live Exchange Server & MS Outlook. Recover deleted mailbox exchange or hard deleted Emails from EDB file. Exchange EDB Recovery from both priv.edb and pub.edb. Repairs Dismounted data from the inactive Exchange Server. Supports Windows Outlook 2016, 2010, 2007, 2003. Also maintains the folder hierarchy after conversion. EDB Recovery facilitates you with the option of naming convention. This software offers both Quick and Advance scanning mode. Use Quick scanning mode when there is minor corruption in the data. Use Advance Scanning Mode if there is major corruption. Simple procedure to extract exchange database to pst. The tool also restore exchange database to different server like 2016, 2013, or older editions & MS Outlook. After completing the EDB file Recovery, software generates a small report log which contains the path of the file that has been created with Number of mailboxes. The Exchange EDB recovery tool helps in recovering deleted mailboxes and items from the EDB file. We can recover an EDB file to a number of Outlook data files. 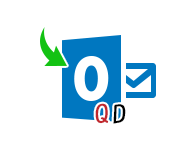 By default Exchange EDB recovery software creates separate Outlook data file for each mailbox. The complete inner structure of public folders, sub folders, and custom folders in EDB mailboxes will remain intact after recovery & migration from EDB to Exchange server as well as distinct file formats. With Offline Exchange EDB recovery software you can create the PST file of any manageable size with the help of PST split function. The large size of PSTs results in slowing down the speed of MS Outlook. The Exchange EDB recovery tool offers mail filtering on the basis of Date and also lets the end users save the file in a desired format. You can recover selected emails according to your choice. Exchange mailbox repair utility retrieves deleted emails from Exchange 2016 and related attachments like: documents, files, Images etc. The tool also generates a preview of all the items. The Exchange EDB recovery tool is compatible with all MS Exchange Server 2000/2003/2007/2010/2013/2016 editions and supports all Windows Operating Systems including Windows 10. What Is An Exchange OST File and Why Is It Important? Improper Shutdown of the system. First Note down all the errors by starting information store service. You can use these commands, but these commands are typical to use and time consuming. So, it is better to use third party Exchange Recovery tool. It allows recovering corrupted Exchange database files from inactive sever. You can recover hard deleted data and also get soft deleted mailbox Exchange 2016 etc. Step 1: In the very first step, download, install the tool. Now click on "Add File" to Browse files. Step 2:The tool will scans selected Exchange database files and also show File, Size and Created On date during scan process. Step 3: Once scanning procedure gets over, the software preview entire mailboxes sequentially and a user can also preview the content of emails as well attachments by clicking on a particular message. You can also export a single message by right clicking on the message. Step 4: Select a file format from Export options, Apply mail filter and Split Outlook file if required. Now provide Destination Path and Click on Export button. Step 5: The Software will start exporting mailboxes automatically and also shows folder name, Item Count and Destination path during the export process. You can Stop or Start exporting process if required. Step 6: Once Export process gets over, The tool will show you a confirmation message like- "Export Process completed successfully. Step 7: You can browse desired location to save report file. Click on Save. Step 8: Now, Using Microsoft Outlook, exported Outlook data file can be added. Click on File button to intialise addition of Outlook data file. Step 9: click on Open & Export >> Open Outlook Data File to add Outlook file. Step 10: Now, Browse for the desired location to store output file.Select the Outlook file and click Open to add the PST File to Outlook. Does the Software Perform Exchange Mailbox Recovery without Log Files? Yes, for recovering data from the EDB file, the software does not require log files. Exchange database recovery without log files is possible with the tool. Just add EDB file for recovery and the software will read data from it. Thus, the most updated database can be recovered using the tool. I want to move mailboxes from Exchange 2010 to Exchange 2016. Is this tool compatible with Exchange 2016? The software supports mailbox and public folder export to Exchange 2016. So, if the requirement is to move Exchange 2010 mailbox to Exchange 2016, the software fulfils this requirement, provided the alias name of target mailboxes should be known. I want to extract five mailboxes from a database but I do not have Exchange Server setup. Will the software help? The best part about Exchange EDB Recovery software is it does not require Exchange environment to process conversion or recovery task. Therefore, even if there is no Exchange set up available, the tool will extract mailboxes from EDB file . What is the maximum size of EDB file that can be added to the tool for processing? There is no limitation as such. An EDB file in GBs or TBs can be added to the tool for recovery or conversion. At a time, multiple EDBs can be added to the tool and the overall size of database for processing with affect the overall export process. The EDB file has 25 mailboxes, but I want to extract only 2 of them to PST. Does the software offer this facility? When the EDB files are scanned, a list of all mailboxes will be enlisted in the software pane. For the mailboxes that are to be exported, enable the check boxes and the software will only export the selected user-accounts to define file format or target mailbox. Exporting all mailboxes of an inactive Server to a New Server within the minimum RTO has been made possible with this Exchange EDB recovery tool. We have restored user accounts to a new Server and that too without the co-existence requirement. Exchange EDB recovery tool has done a fabulous job for us. Recovering EDB to live Exchange Server is the best quality of the product. It is definitely a worth investment tool for the job it performs and for the time it saves in recovery.